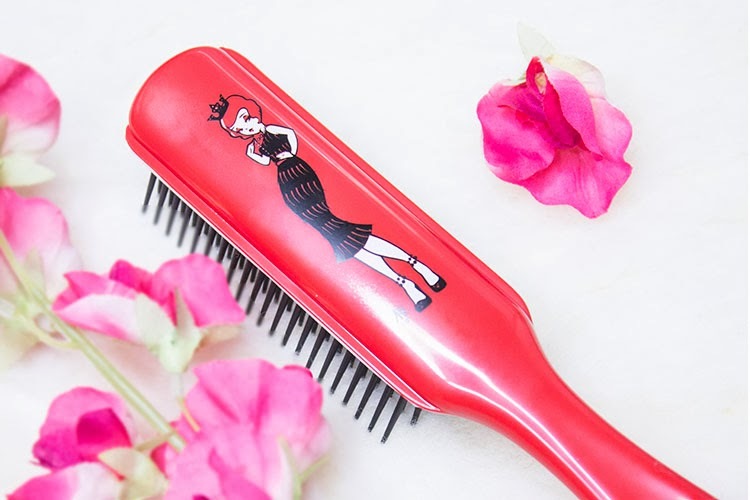 AnarKitty x Denman Return with Roaring Ruby Flapper Brush! Have you seen The Great Gatsby? Sometimes I wish I was in the 1920's with the gorgeous flapper dresses, large pearl necklaces, oh so stylish makeup and finger-wave hair. These days busting out the roaring 20's style would be limited to special events, Halloween or fancy dress parties. With that in mind I am thrilled to share with you a 20's themed brush, the new Denman AnarKitty Ruby D3 brush! British artist AnarKitty and brush experts Denman released a special limited edition Denman D3 brush* named 'Ruby', influenced by the classic The Great Gatsby and Mad Men. Ruby features the famous flapper dress of the 20's era finished with the Denman Crown for a modern twist! What I have here is the medium Denman D3 Brush*, which is a half-radial hair brush, ideal for smoothing and styling hair. It is especially good if you like your hair flicked up or flicked under. This is suitable for all hair lengths. For shorter hair such as a bob, you can use this to curve the ends of your hair inwards for a salon like finish. 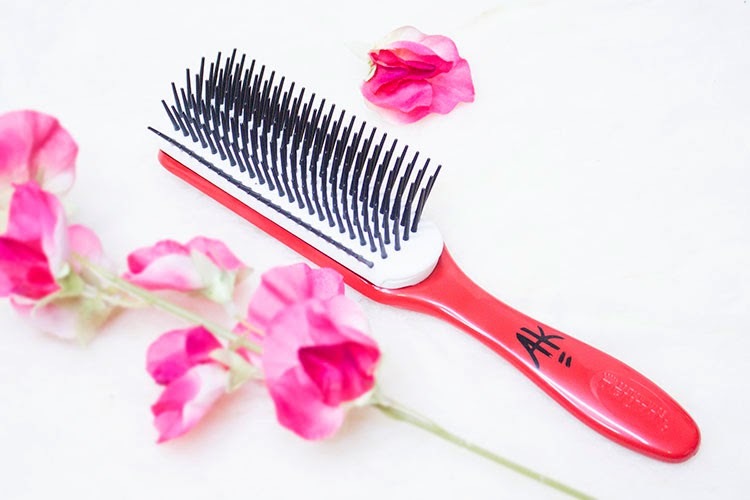 This brush is excellent for all hair types but especially for thick hair looking for a nice wave without too much volume. The Denman D3 Brush* is called a half-radial hair brush as it looks like a round brush cut down in the centre. It has smooth, round-ended pins for gentle styling, and an ergonomic easy-grip handle for balance and comfort. It is not heavy at all, which makes it comfortable to use and with every gaze at the muse sends me off to day dreams of the 20's! You can purchase the Denman D3 AnarKitty Ruby brush* (£7.50) from www.denmanbrush.com. I love my Denman brush and this one is so cute. Cute brush :-) I always use a wide toothed wooden comb though. My hair is really thin and fine and combs work better than brushes for me. I want it! so pretty!